The game offers 53 parking spots in many awesome levels for you to have fun. This game requires serious driving and parking skills to be able to finish it. Embrace the sun and follow the arrows on the street to find the parking spot. Also, there’s indicated on each parking space the way you have to park your car. If you are a very good driver, you will be able to unlock other cool cars in this game. Each car has different engine power handling and you must learn how to control each one in order to park in the fastest time. The game offers many levels with some of the most difficult parking spots you have ever seen. You have to pay attention and avoid all obstacles, and of course, the most difficult one is the traffic. You will have to park on some parking spots that require you to drive across the street and the parking areas are very crowded. You will have to juggle between cars and try not to hit anything. 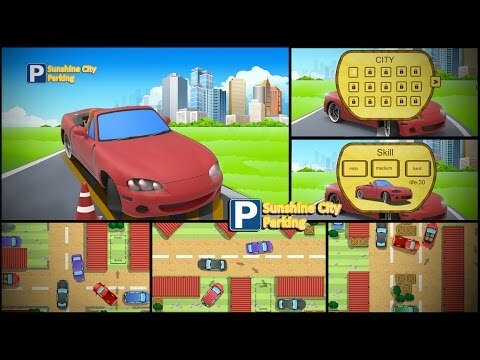 If you hit your car several times you will have to restart the level, but don’t worry, if you are and experienced driver you will make it and win this complex parking game. Also, you can chose which mode you want to play: easy, medium or hard. So, why more thoughts? Download and have fun with this intense and challenging game.